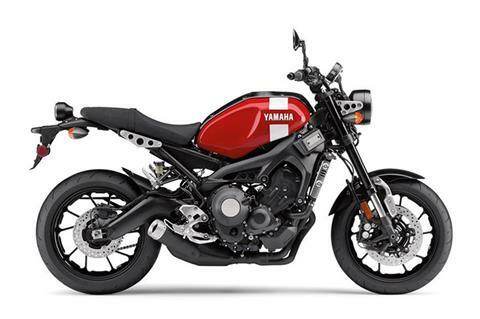 The XSR900™ blends Yamaha engineering with neo-retro style, creating a thrilling, timeless machine for riders seeking an authentic and honest motorcycle with plenty of performance. A STYLE ALL ITS OWN: The XSR900 blends Yamaha’s world-class engineering with standout neo-retro style, creating a new type of machine for riders looking for an authentic and honest motorcycle that doesn’t sacrifice performance. 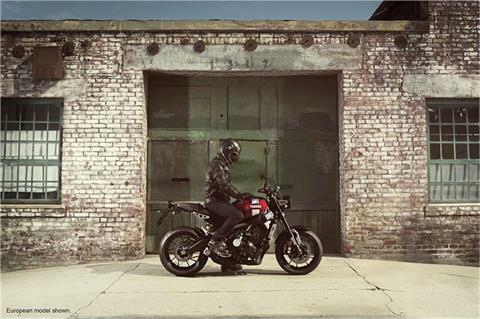 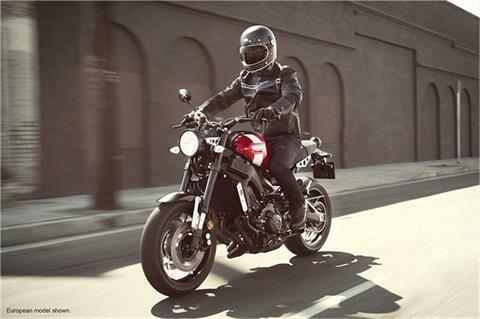 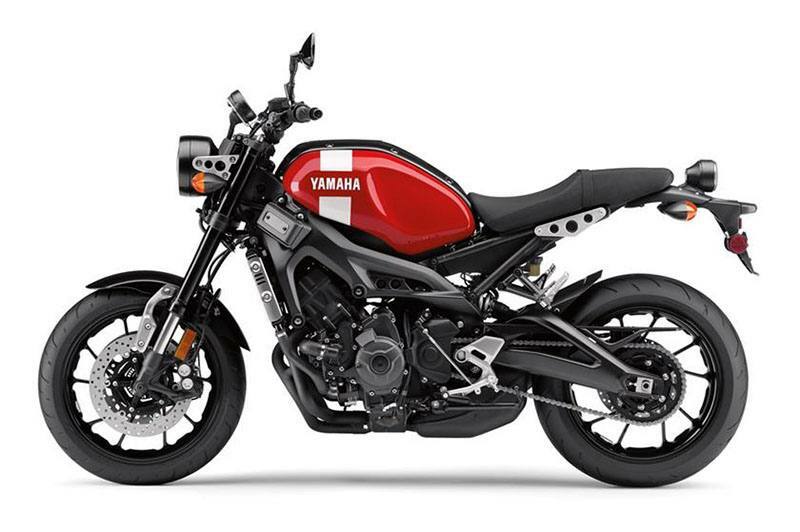 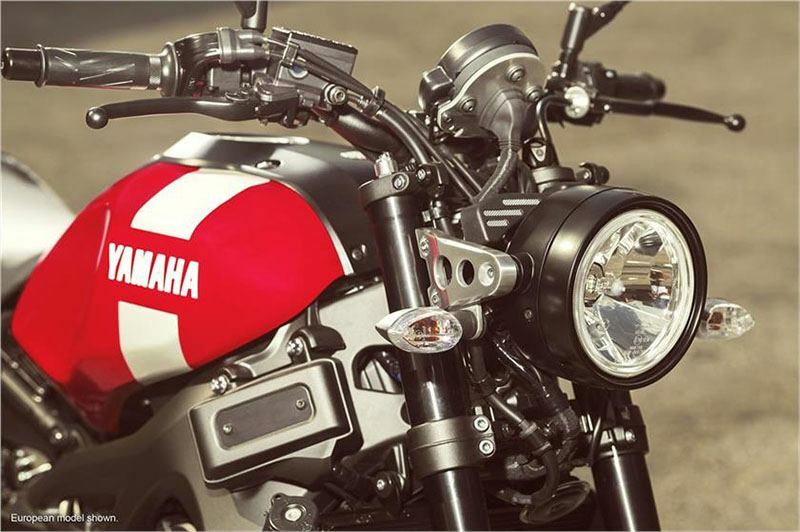 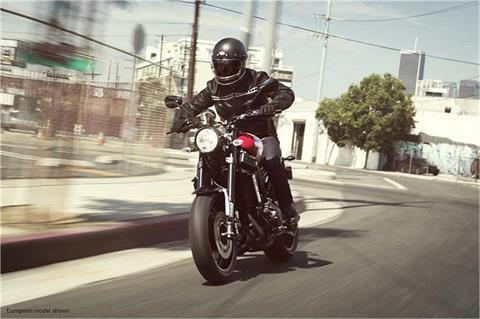 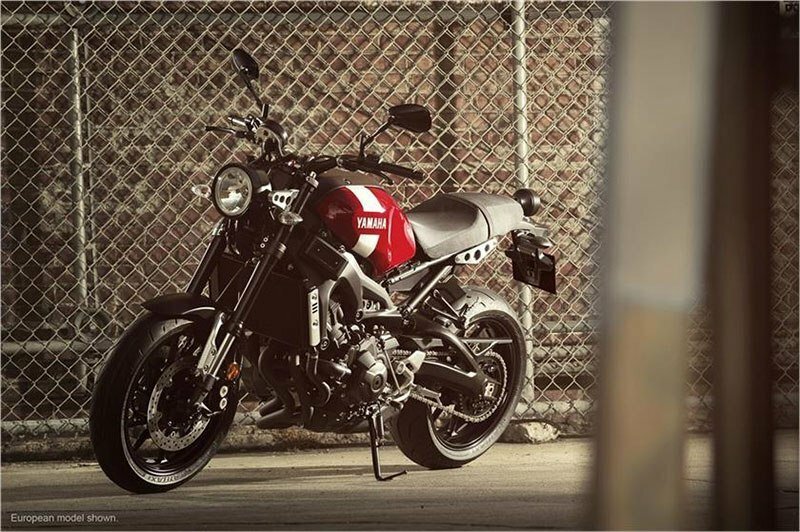 Drawing influence from Yamaha’s classic “XS” series of motorcycles, the XSR oozes class, with exposed aluminum details, retro-influenced bodywork, stepped seat and custom lighting and instrumentation. COMPACT, SPORTY CHASSIS: Underneath the new bodywork, an aluminum frame features a sport-oriented wheelbase, with rake and trail geometry working with the compact 3-cylinder engine to achieve light and nimble handling. 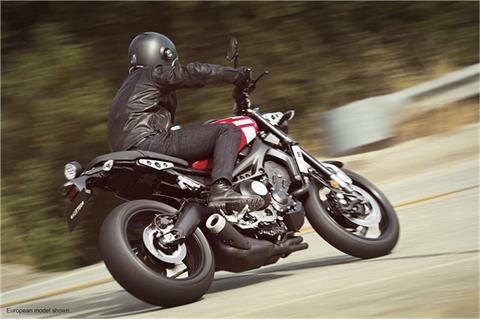 ADJUSTABLE SUSPENSION: Both front and rear suspension systems feature spring preload and rebound damping adjustments for a truly customizable ride. 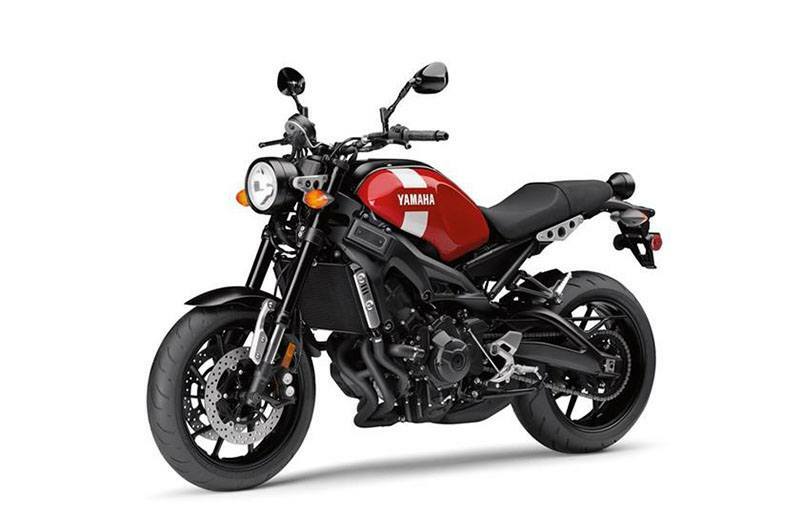 Up front, an inverted fork with 41 mm inner tubes provides 5.4 inches of travel, while the rear linkage-type monoshock uses a nearly horizontal layout for improved mass-centralization, along with 5.1 inches of rear wheel travel. 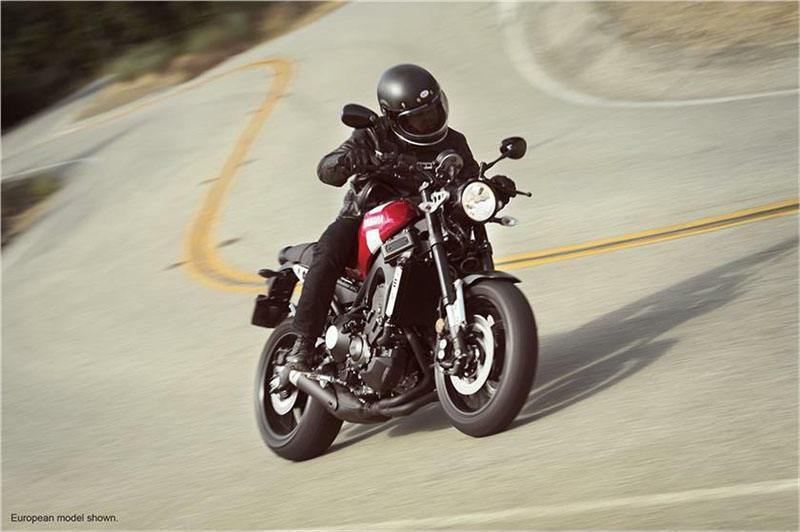 POWERFUL BRAKING WITH ABS: The XSR900 provides exceptional braking power thanks to sportbike-spec front brakes, consisting of paired floating 298 mm discs with radially-mounted 4-piston calipers and a 245 mm rear disc. ABS works to prevent wheel lock under hard deceleration. ADVANCED CROSSPLANE CRANKSHAFT CONCEPT ENGINE: The XSR900 features a thrilling 847 cc liquid-cooled inline 3-cylinder, DOHC, 4-valve-per-cylinder Crossplane Crankshaft Concept engine based on the FZ-09. With a 78 x 59.1 mm bore and stroke and 11.5:1 compression ratio, the compact motor produces a torquey and quick-revving engine character. ADVANCED INSTRUMENTATION: The new round LCD panel features a ton of information: digital tachometer, speedometer, gear position, eco mode indicator, TCS and D-MODE indicators, ambient and coolant temperature, a fuel gauge and range of trip computer functions, including a clock, instant and average fuel consumption, fuel reserve trip meter and the usual trip meters. A STYLE ALL ITS OWN: The XSR900™ blends Yamaha’s world-class engineering with standout neo-retro style, creating a new type of machine for riders looking for an authentic and honest motorcycle that doesn’t sacrifice performance. 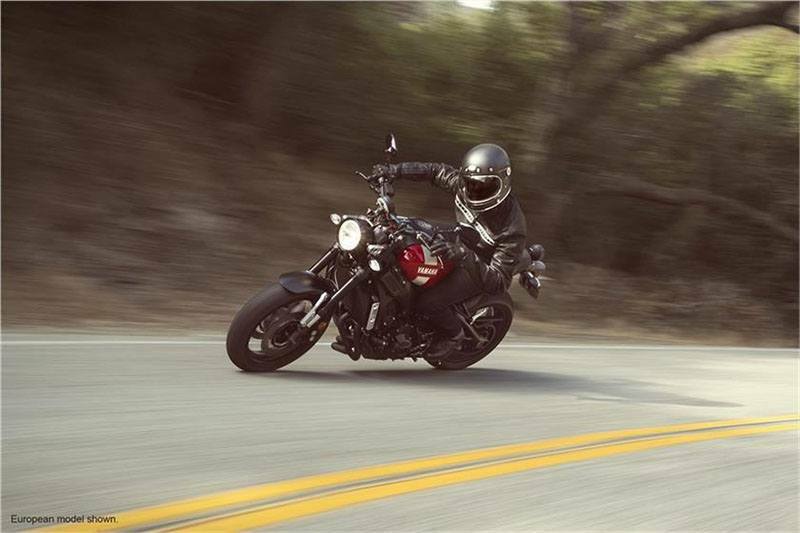 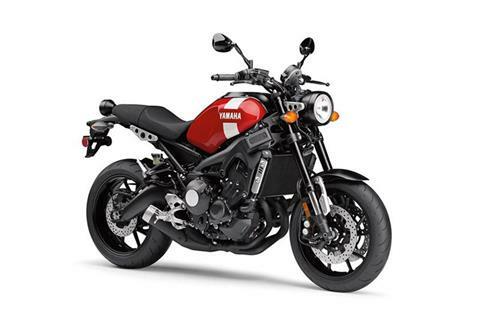 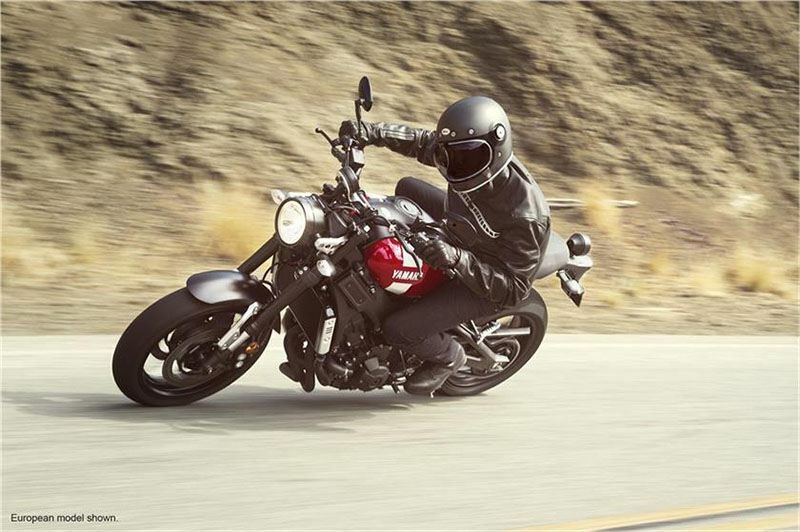 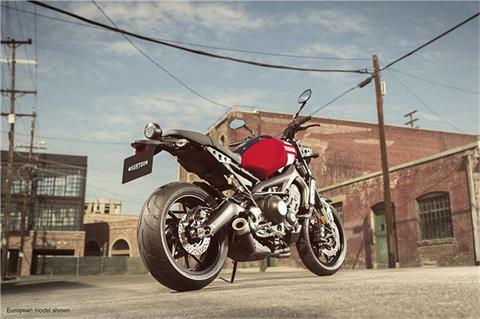 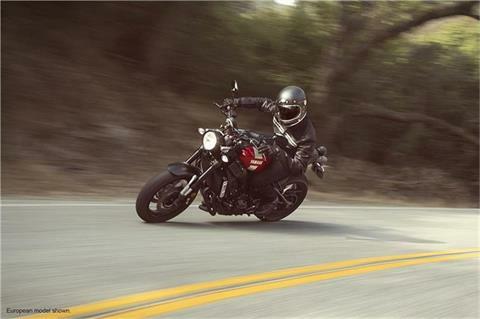 Drawing influence from Yamaha’s classic “XS” series of motorcycles, the XSR oozes class, with exposed aluminum details, retro-influenced bodywork, stepped seat and custom lighting and instrumentation.